Land is at the root of most of the conflict in our world – not only disputes in who has the land or who wants control of the land, but also environmental and connected social justice issues, such as how we care for, and share in, the earth and all its resources. We post this photo today in tribute of Wangari Maathai, an inspiring Kenyan woman who was awarded the Nobel Peace Prize in 2004 for her work on the environment, women’s rights and transparent government. She passed away yesterday, on September 25th, but leaves behind a remarkable legacy including the founding of the Green Belt Movement which has planted an estimated 20-30 million trees in Africa. The photo was taken by Germaine, an inspiring young girl in Rwanda who shares Wangari’s love and concern for peace and a healthy environment. 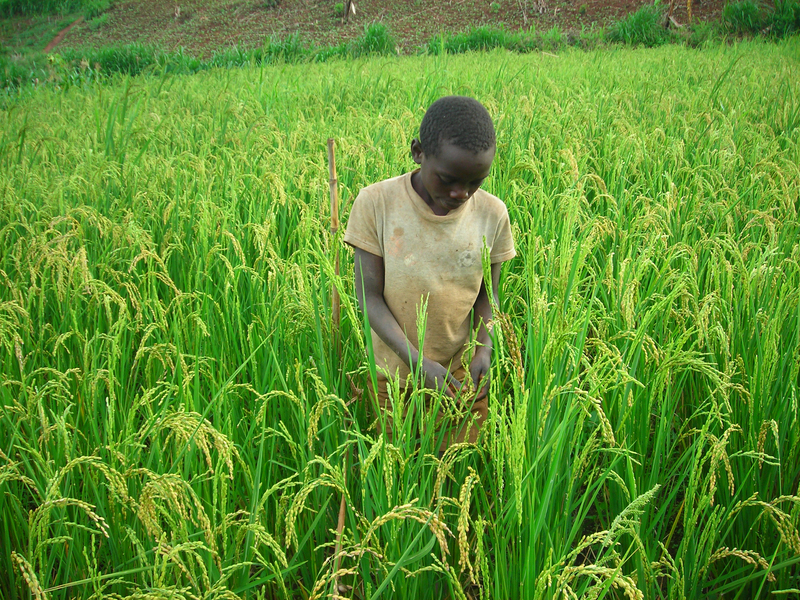 Germaine loves to garden and hopes to become a doctor. She took this photo as part of her essay on “our relationship with the environment.” Her essay was one of a series of village photo essays by the gafotozi – youth who participated in our first photography workshop in 2009. They live in a region where large numbers of children have been orphaned by the Tutsi Genocide as well as AIDS. Many of these children became heads of their household and today they continue to struggle not only with poverty but also family land and property ownership issues. 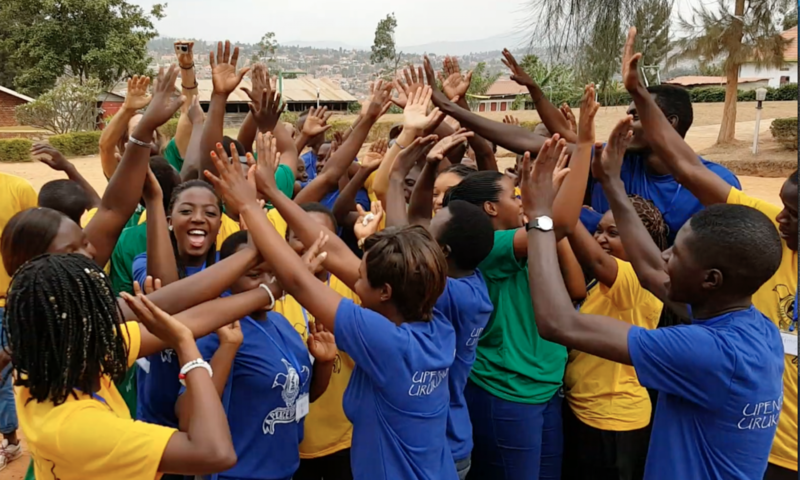 Land issues will be some of the case studies to be explored by youth in our upcoming peace camp, to be held Nov. 20-26, in Gisenyi, a border town (Rwanda and DR Congo). Youth will put into practice some of their critical thinking and creativity skills to develop innovative and engaging ways to open dialogue and build common ground on crucial issues within the community, for peace and development. Youth will also plant trees near our host school and mini gardens (vegetables-in-a-sack) for orphans as a meaningful expression of love and care for the environment and those most in need in the community. Thanks, once again, to all who have contributed time, money and support to this youth peace media initiative. Please keep checking this blog to see your wonderful support in action! p.s. The gafotozi will have the opportunity to train, once again, with Johnny Lam, a volunteer documentary photographer from Canada who led the first photography workshop. In the coming months, we look forward to posting some of their new photos and having an on-line gallery for purchase.